What you need to know: The severity of a child’s ASD diagnosis is related to maternal ethnicity/race and origin. The chances of being diagnosed with ASD is higher for children born to Hispanic, African American/black and Asian maternal races/ethnicities. Parental age and pregnancy complications are well-established environmental factors that can increase the risk of developing Autism Spectrum Disorder (ASD) in children. Some studies report that women who move to another country could be at higher risk for having a child with ASD. However, we do not know if racial differences among immigrants and minority groups influence the risk of developing ASD and symptom severity. This study investigates whether receiving an ASD diagnosis was related to maternal ethnicity and origin among Hispanics, African Americans, and Asians citizens in the United States. 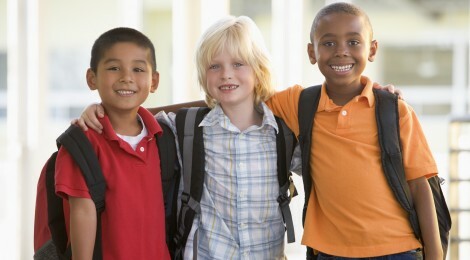 Researchers studied 7540 children, ages 3 to 5 years old, born in Los Angeles between 1995 and 2006 that received a diagnosis of ASD whose mothers identified their own race/ethnicity as Hispanic, white, black, or Asian. The level of expressive language and emotional outbursts was also rated in the 4197, 5 year old children who were also diagnosed with intellectual disability (ID). Expressive language was rated either “impaired” – if child doesn’t use any words or up to 2-word sentences, or “less impaired” – if child uses sentences with more than 3-words. Emotional behaviour was rated either “severe” – if child has daily or weekly tantrums that needed restraint, and “less severe” – if child has weekly to no tantrums that did not require restraints. Researchers found that there was increased likelihood of having a child with ASD if the mothers were foreign-born African-American (76% increased risk), Central/South Americans (43%), Vietnamese (26%), and in US born Hispanics (25%) and black mothers (14%) compared to US born white mothers. Children of foreign-born African-American, Vietnamese and Filipino mothers had a two-fold increase rate of being diagnosed with both ASD and ID compared to children born to US-born white mothers. In comparison to children with ASD born to US-born white mothers, there were increased rates of “severe” emotional outburst in children of both US- and foreign-born mothers of Hispanics descent. However, higher rates of “less severe” outbursts were observed in diagnosed children born to Vietnamese and Filipino mothers. In contrast, both a delay in expressive language skills and an increase in the number of emotional outbursts were observed in children born to foreign-born black mothers. Cultural differences between maternal racial/ethnic groups should be investigated to determine what factors (environmental exposure to toxins or infection, diet, stress), could potentially affect prenatal or childhood development and thus increase the risk of having children with ASD. Understanding these differences may influence these minority groups’ accessibility to appropriate care and support. Tracy Becerra (PhD), Julia Heck (PhD), Jorn Olsen (MD, PhD), Onyebuchi Arah (MD, DSc,PhD), and Beate Ritz (MD, PhD) are from the Department of Epidemiology, Shafali Jeste (MD) is from the Department of Psychiatry and Behavioural Sciences, and Michael Rodriguez (MD) is from the Department of Family Medicine at the University of California. Ondine von Ehrenstein (PhD) is from the Community Health Sciences Department, and Fielding School of Public Health. Citation: Becerra, T. A., von Ehrenstein, O. S., Heck, J. E., Olsen J, Arah, O. A., Jeste, S. S., Rodriguez, M., & Ritz, B. (2014). Autism spectrum disorders and race, ethnicity, and nativity: a population-based study. Pediatrics 134(1): 63-71.